New! "Bead Soup" Strand Necklaces and Bracelets! 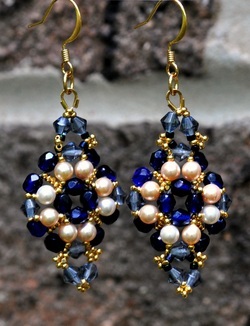 Swarovski® 4mm glass pearls and 4mm "Montana Blue" bi-cone crystals. 14k gold wire protectors connect the 14k gold-filled seamless jump ring and 14k gold-filled ear wire. 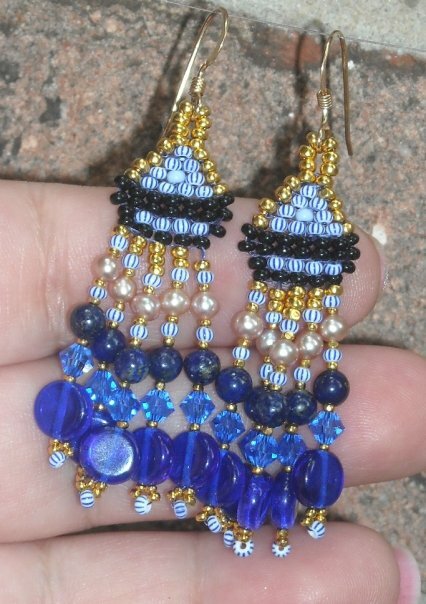 4mm Czech beads in cobalt blue, and finally 14/o & 15/o 14k gold plated Charlotte "Tru-cuts." The same design with different colors and in sterling silver. 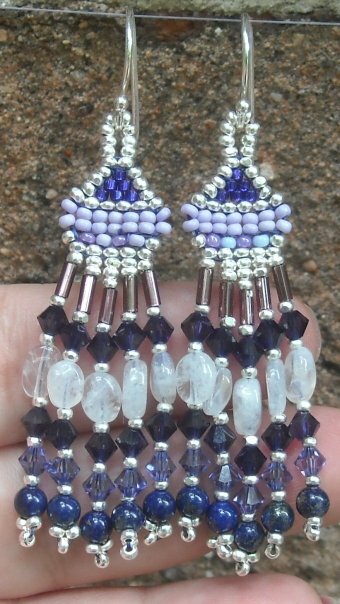 Earrings? 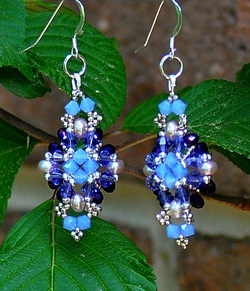 You make earrings, too? Actually, that's what I have always made. 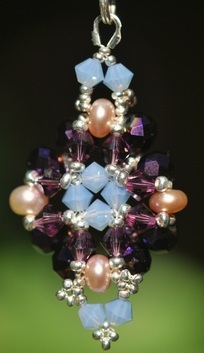 I love making earrings! 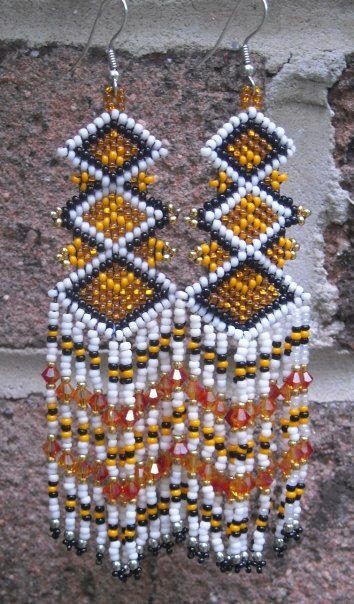 I can make long, fringy earrings, or short, classic earrings. I love the look of the 16th Century. The jewels of British Royalty inspire me. I love the Renaissance look.